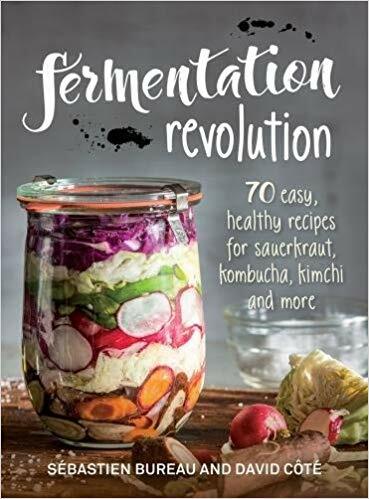 Everything you need to know about fermentation to start a little revolution in your pantry! 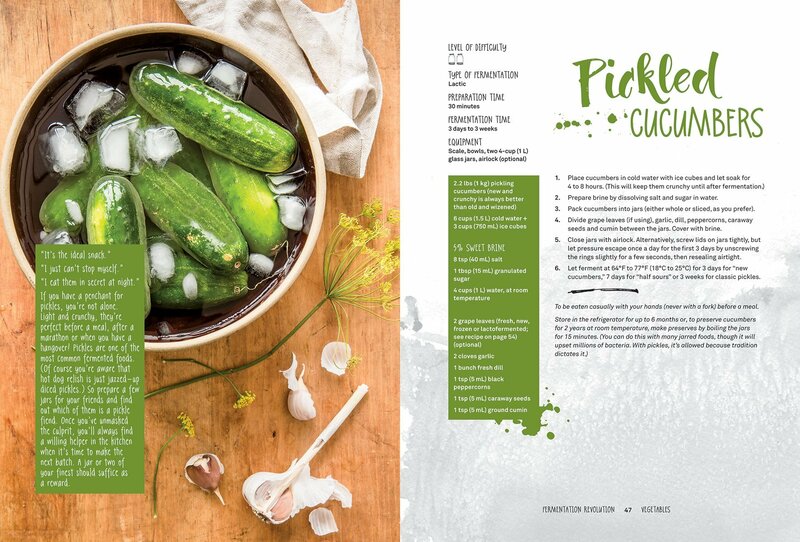 Fermentation is one of the hottest kitchen trends of the past two years, and for good reason — it allows us to transform the ordinary into the extraordinary (think: delicious pickles, olives and ginger beer). But, more than that, fermented foods have enhanced nutritional value, aid in digestion and help regulate our immune systems. But more than that, fermented foods have enhanced nutritional value, aid in digestion, and regulate our immune systems. This fascinating look at fermented foods, often the culinary stepchild in terms of popularity, provides the reader with a natural way to boost their probiotic consumption to benefit nervous system, digestive system and immune system health. This book provides 70 easy and cost-effective recipes for everything from fermented vegetables, fruits and sugars to milks, grains and legumes. It covers the science behind fermentation, as well as types of fermentation processes and useful equipment. 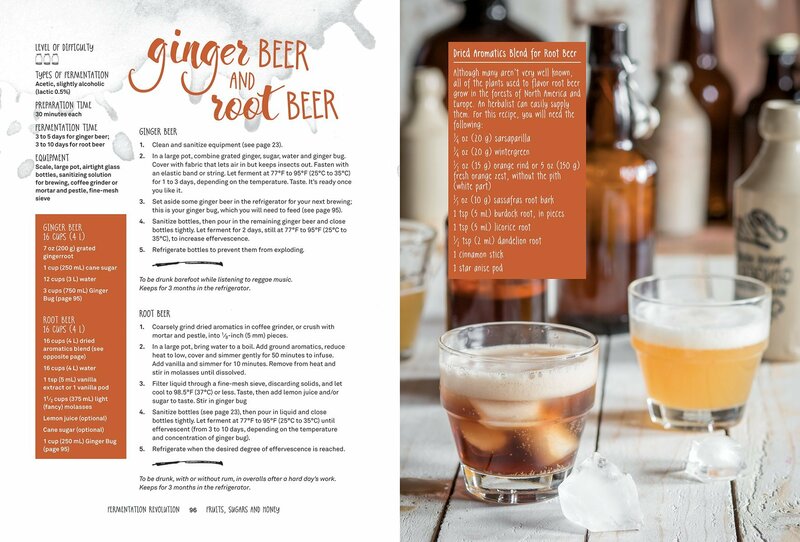 This book explains the fermentation process, the types of fermentation in foods, and setting up a kitchen pantry with the equipment necessary to create its recipes, ranging from milk kefir and honey-based kombucha to a tempeh omelt and fermented banana bread. Fermentation is fun and it results in foods packed full of flavor and health benefits. So gather your jars, get started on making your own condiments and yogurts, and be on your way to cultivating good health. Your taste buds will be sure to thank you. Fermented foods take time and dedication to prepare and the first few chapters have a lot of technical detail. If you skip ahead to the recipes, they are marked by level of difficulty, so you can begin with one that is for beginners and progress from there. Yes, it takes work, but the results and health benefits are definitely worth it. Sebastien Bureau is the president of MannaNova Solutions Inc, a food science consulting service that helps small producers in the fermented and non-fermented food and beverage industry. Since a young age, he has devoted many hours in the kitchen, experimenting with ingredients and exploring flavors and techniques. David Côté is a living foods chef, nutrition expert, shiatsu therapist and is currently the President of Crudessence and VP of RISE. He refined his culinary passions as well as his approaches to healthy living during the many years he spent traveling the world. Côté is author of previous Robert Rose title, RawEssence: The Flavor of Our Mission. 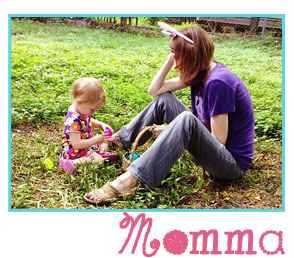 ← Meet Cubcoats! 2-in-1 stuffies that transform into soft hoodies!